The shelves are fully-assembled and fixed to the wall and, for the price, I'm very happy with the results. Went with IKEA "Billy" and I know they won't last forever, but they will be treated gently and they fit my budget, which the 10K$ custom build didn't. 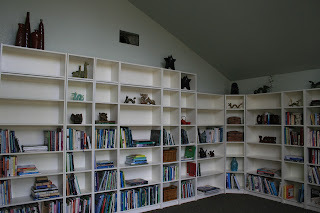 The most difficult part was making the shelves, and especially the corner, "fit" while understanding that the walls and floors are not perfectly straight/flat/vertical. 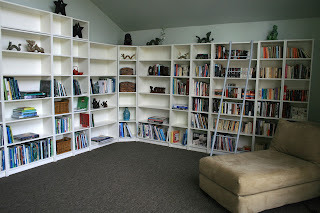 Had to put some strips of extra carpet under a couple of the bookcases. Some customisation of the corner hardware was needed! Still needed: a new cover for the heating vent, some floor cushions, and a good reading lamp. Oh. 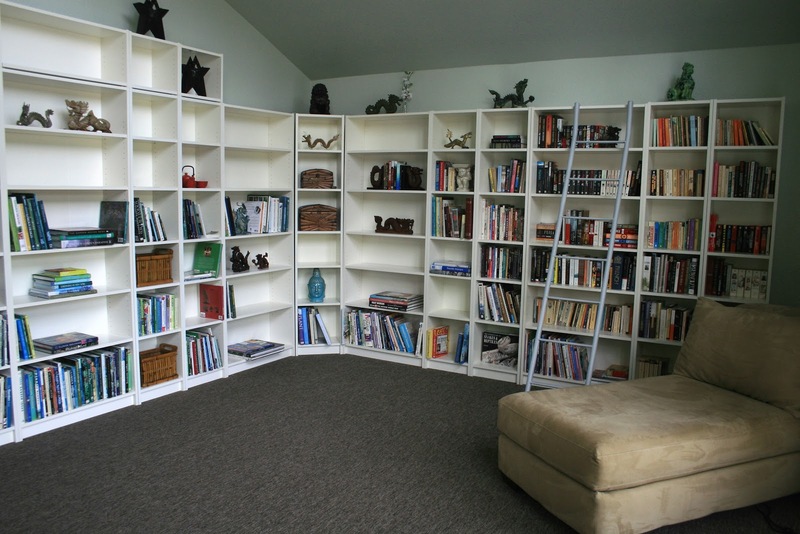 And I have room for more books!